Fennel is an aromatic and flavorful herb that has several culinary as well as medicinal properties and uses. Its scientific name is Foeniculum vulgare. Also known as Souf, they are sweet and woody in taste. People commonly chew fennel seeds after a meal, as it helps to digest food and prevents the formation of gas in the stomach. It has many health benefiting nutrients, minerals and vitamins. Fennel seeds have been utilized for treating indigestion, diarrhoea, colic and respiratory ailments. It is also beneficial in eye problems and menstrual disorders. Let’s see all amazing health benefits of fennel seeds here. Yes, Fennel Seeds aid to digestion and have been used for this purpose for thousands of years. A small amount of the seeds are routinely chewed after a meal, both to freshen the breath and to stimulate digestion. Their rich volatile oil content is primarily responsible for these digestive benefits and ability to clear intestinal gas so effectively. Compounds like anethole, fenchone and estragole appear to have anti-spasmodic and anti-inflammatory properties that relax contracted intestinal muscles and allow trapped gas to dissipate. This herb stimulates digestion and has carminative effects that soothe the digestive tract and prevent the formation of gas. Moreover, it can help rebuild the digestive system after radiation or chemotherapy treatments. The volatile oils in fennel seeds are also believed to stimulate bile for better digestion, thus preventing these problems from happening in the first place. 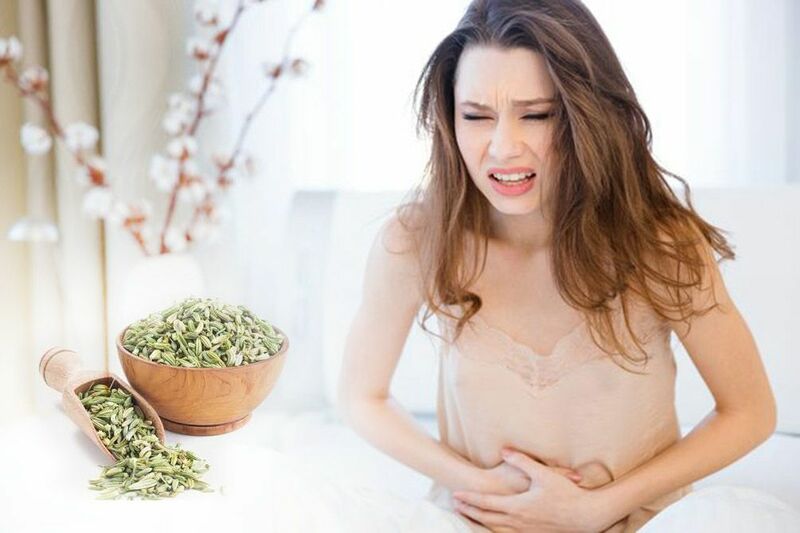 A great tasting fennel tea, or chewing half a teaspoon of the fresh seeds is a simple way to prevent or treat many digestive problems like gas, bloating and cramps. A study published in the Journal of Food Science found that chewing on fennel seeds helped increased the nitrite content in saliva, making it a great natural way to keep a check on blood pressure levels. Apart from this, fennel seeds are also a very rich source of potassium and since potassium is an essential component of cells and body fluids, it helps control your heart rate and blood pressure. Fennel seeds contain Vitamin A, which is important for eyesight. In ancient India, extracts of these seeds were used to improve the symptoms of glaucoma. When fennel seeds are eaten on a regular basis, they provide the body with valuable minerals like zinc, calcium and selenium. These minerals are very helpful to balance hormones and in helping up the oxygen balance. When consumed, fennel has a cooling impact on the skin, hence giving a healthy glow. The seeds also have very powerful free radical scavenging properties that help beat oxidative stress and protects the body from various cancers of the skin, stomach and breasts. Fennel seeds have a very potent chemo modulatory effect too. Drinking fennel tea on a regular basis helps flush out excess fluids from the body as it works as a diuretic. You can also reduce puffy eyes caused by fluid retention by applying strong fennel tea under your eyes. They also help to remove toxins and reduces the risk of urinary tract problems. Fennel is excellent for combating obesity as it suppresses the appetite and creates a feeling of fullness. Fresh fennel works as a natural fat buster by boosting the metabolism and breaking down fats. Plus, being a diuretic, fennel helps reduce water retention, which is a common cause of temporary weight gain. One simple way to facilitate weight loss with this herb is to dry roast, grind and sieve fennel seeds and consume the one-half teaspoon of the powder with warm water twice daily.